If you’ve been near a TV in the last six months (and don’t fast forward through every commercial break), then you’ve likely seen the quirky DirecTV ads featuring Rob Lowe and a parade of kooky alter-egos. How much longer you’ll see those spots is up for debate after an ad review board, acting on a complaint from Comcast, found many of DirecTV’s claims to be unsubstantiated and recommended the company pull the promotions. The National Advertising Division (NAD), which is part of the national Council of Better Business Bureaus and a self-regulation body for the advertising industry, recommended Tuesday that DirectTV discontinue certain claims in its Rob Lowe-starring commercials after receiving complaints from rival service provider Comcast. Recommendations from NAD aren’t legally binding, but most companies generally follow them. During the process of the investigation, NAD testing determined that DirecTV substantiated its 99% signal reliability claim and had supported its “up to 1080p” picture quality claims. However, the agency recommended that the company modify the picture quality claim to clearly disclose the limited programming on which resolutions of 1080p is currently available. When it comes to the star of the DirecTV commercials – Rob Lowe’s alter-ego – NAD found there was no evidence to support many of the implied claims made by the “humorous, outlandish and buffoonish” depictions. Additionally, NAD advised DirecTV to suspend claims featured in the “Scrawny Arms Rob Lowe” commercial that implies the company’s sports programming was superior to cable’s sports programing. “Humor can be an effective and creative way for advertisers to highlight the differences between their products and their competitor’s, humor and hyperbole do not relieve an advertiser of the obligation to support messages that their advertisements might reasonably convey – especially if the advertising disparages a competitor’s product,” NAD states in its findings. As for DirecTV’s ranking claims, NAD recommended that the company revise or modify its “rated #1” and “DirecTV has been ranked higher than cable for over ten years” claims to better reflect that rankings are made based on customers’ ratings of their own service provider. 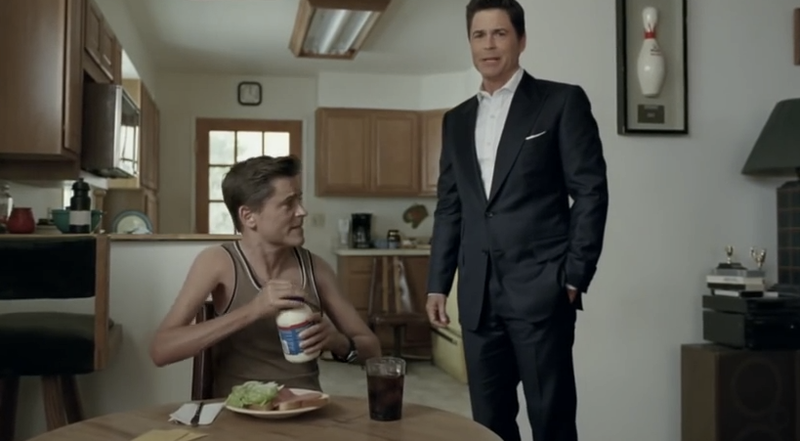 Finally, the agency suggests that DirecTV discontinue or change the price claim featured in the “Scrawny Arms Rob Lowe” commercial to reflect a package that actually include the sports programming featured in the ad.